While you are out fishing, don’t be surprised if you see a couple of killer whales surfacing nearby. These whales feed on the same salmon you are trying to catch. They travel in pods of usually more than 10 whales but can be as large as 50. 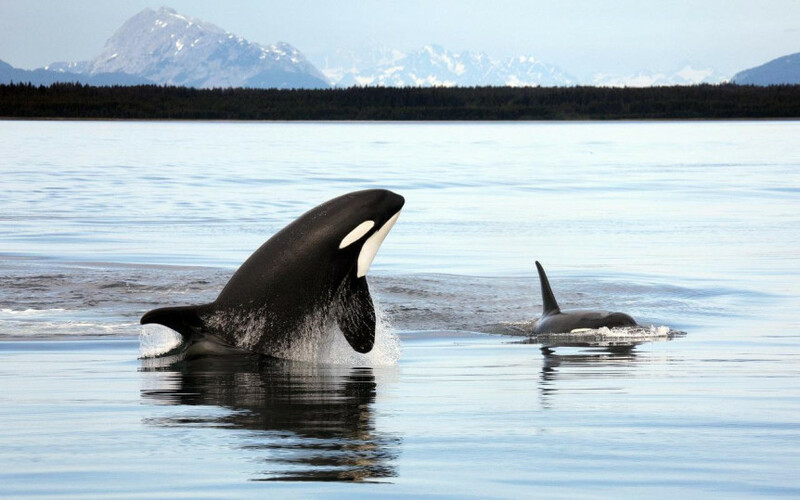 Killer whales are capable of hunting in complete darkness using sound and echolocation to navigate. Killer whales often surface every few seconds as they swim. Look over the ocean for a small white spout of water, this will be the easiest way to first notice a pod. As you draw closer, look for the triangular dorsal fin on the center of the whale’s back. You can also see their striking black and white color that sets them apart from other whales. As the whale pods play, you will often see them jumping, waving and splashing their tails. Always be on the lookout for these amazing creatures, they are out in the ocean for the same reason you are – to catch dinner.